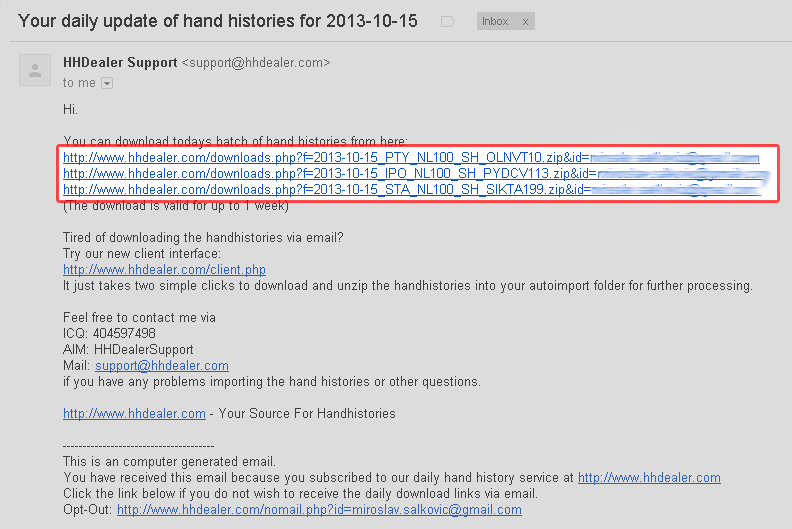 The email will contain one or more download links to your hand histories (highlighted area). Click these links to download the files to your computer. 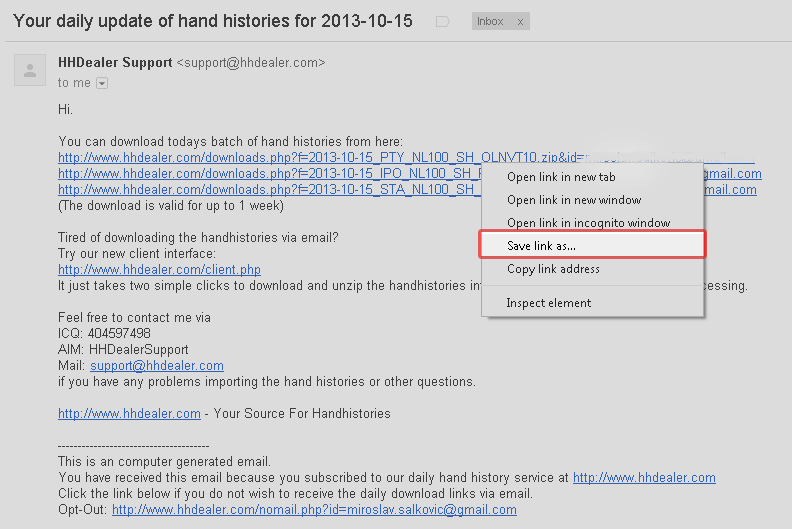 You probably have to right click the links and choose "save as..." (depends on the browser / email client you use). 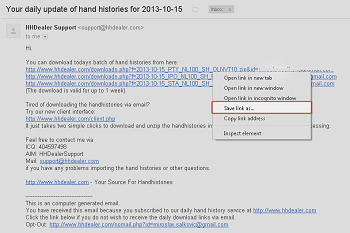 You may be asked for a destination to download the hand histories to. 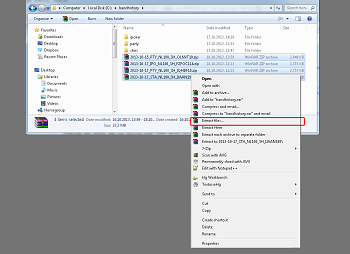 Chose folder you can easily locate, for example C:\handhistory. 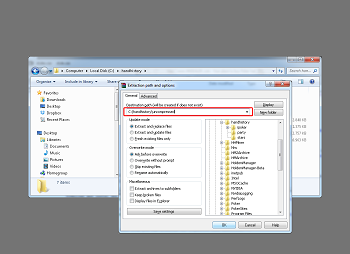 Click the "Save" button to start the download. Repeat the above steps for other download links. 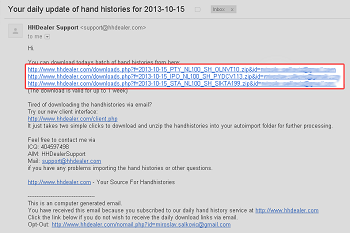 You probably already noticed that the hand histories are compressed (.zip files). Once the download finished you can go ahead and uncompress the files. 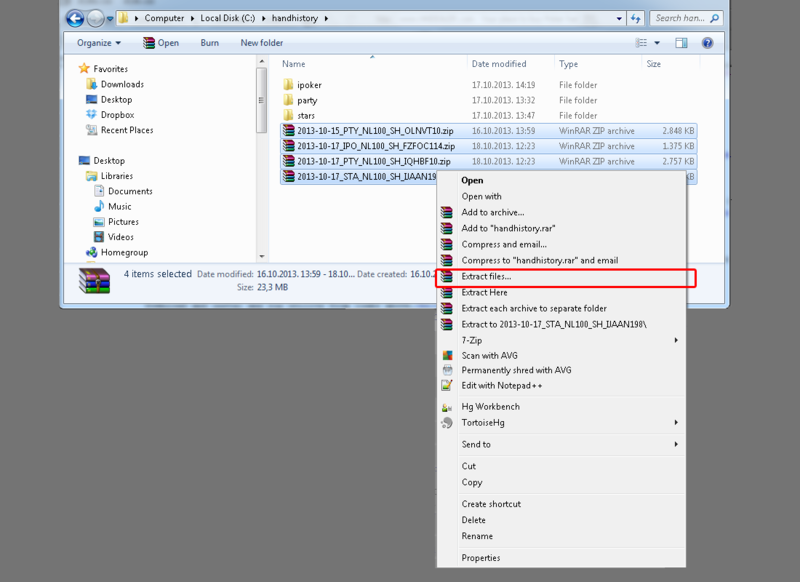 You need a proper zip application to uncompress the hand histories. 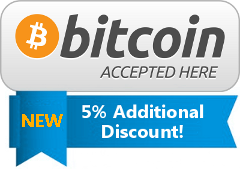 We recommend 7-Zip or WinRAR (both are free to use). Download and install one of the above zip utilities (in this tutorial we are using WinRar). 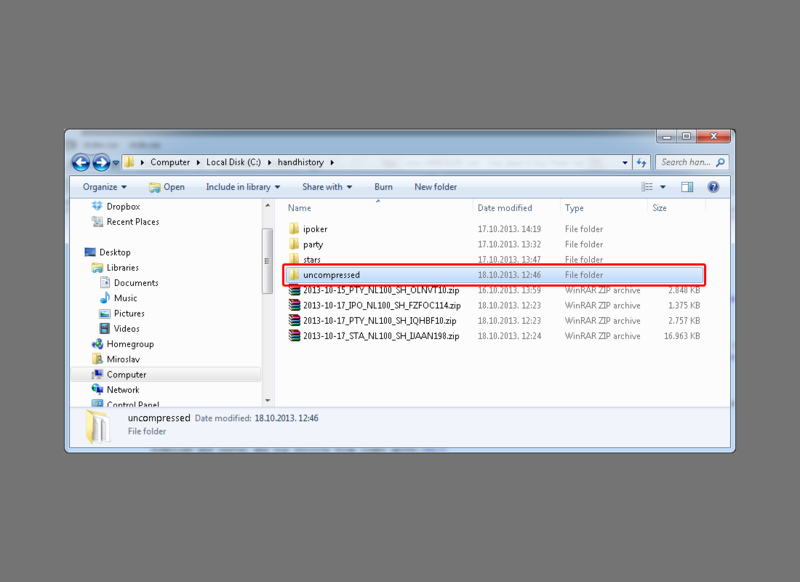 Go to the folder you downloaded the files to (C:\handhistory). 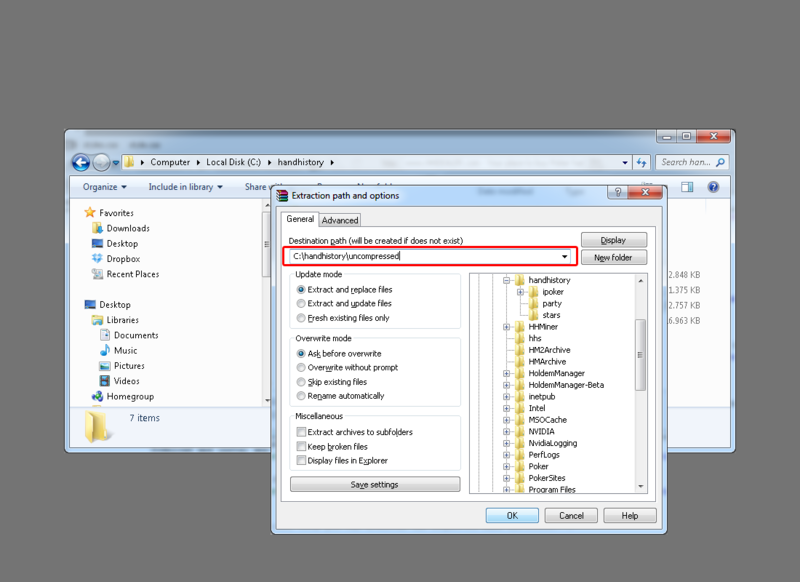 Select all .zip files -> right click one of the selected files and choose "Extract Files..."
A new dialog opens asking for a destination directoy. 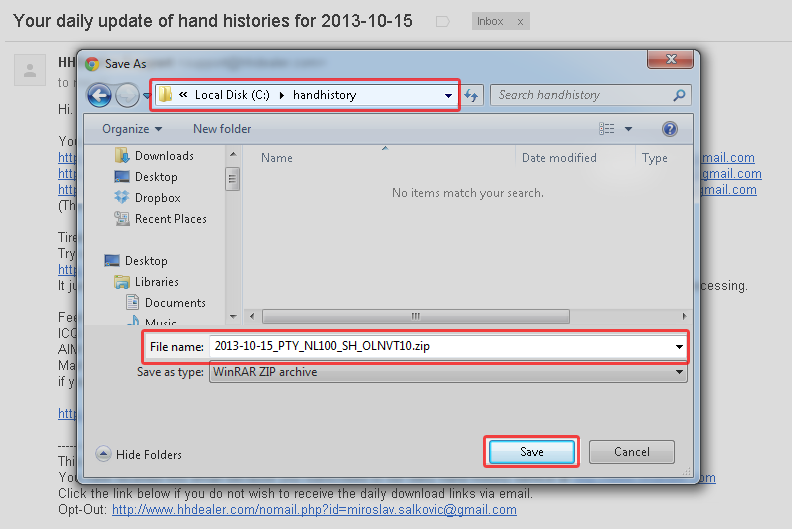 Set a folder like "C:\handhistory\uncompressed", and click OK to finish. Wait until extracting the hand histories finished. 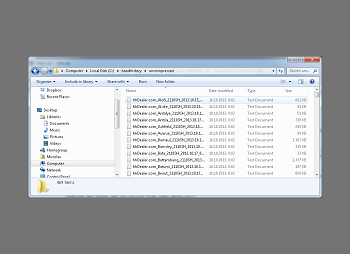 The raw hand histories are now in the uncompressed subfolder. 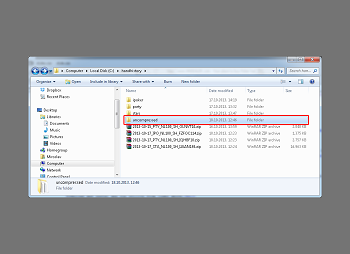 Open the uncompressed folder to take a look at the files. 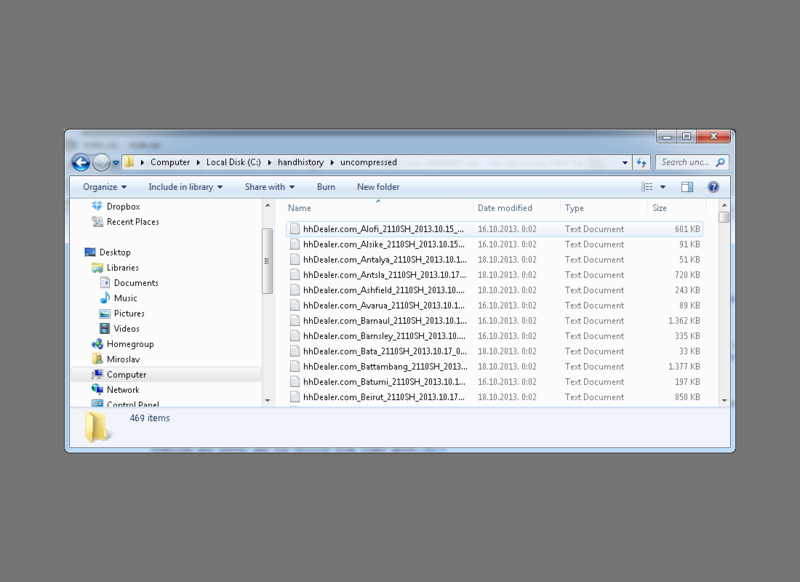 You can go ahead now and import these files into HoldemManager or PokerTracker just like any other hand history files.